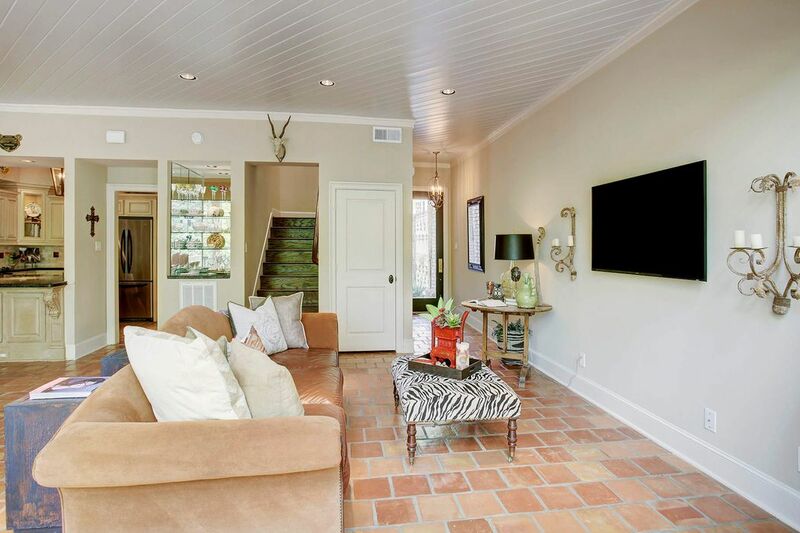 59 Legend Lane, Houston, TX 77024 | Martha Turner Sotheby's International Realty, Inc. 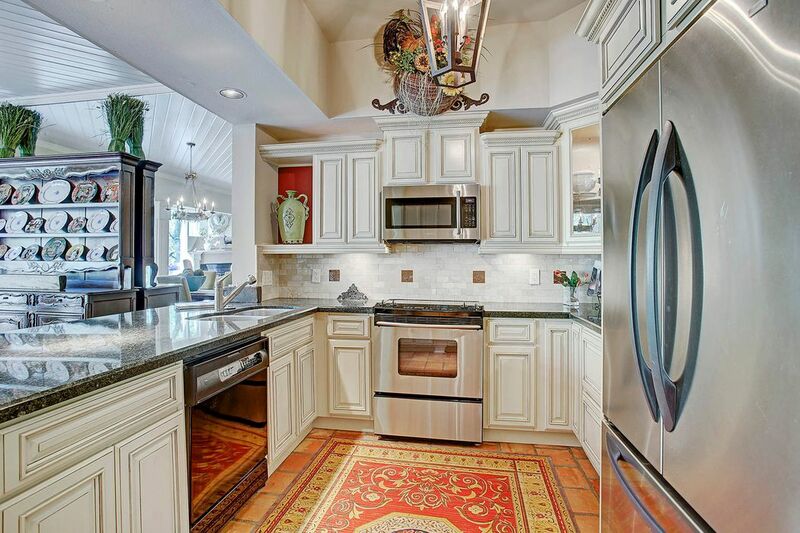 Beautifully renovated home in sought after Legend Lane, a gated community. 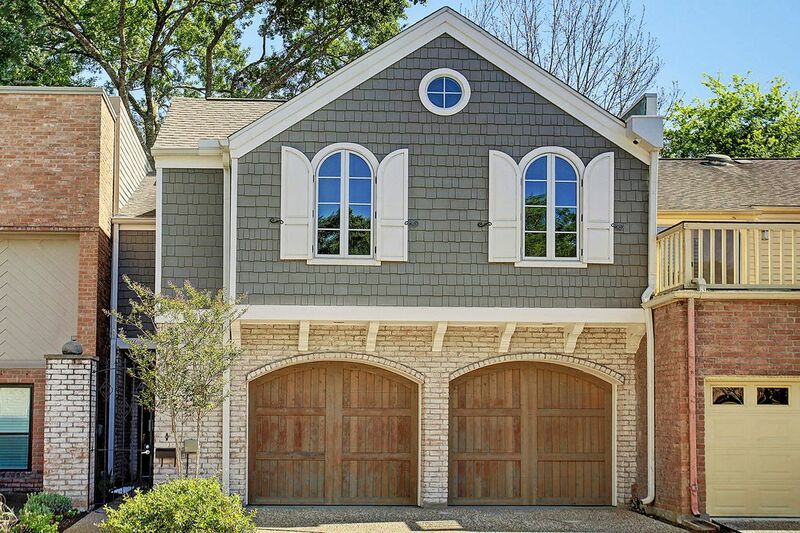 This Cottage dollhouse has custom garage doors, brick and Hardiplank. Many designer finishes throughout. Memorial schools. Close to City Centre. Impeccably maintained! Lovely entry with so many details. Antique bell, new landscaping and freshly painted black lacquer door with glass. 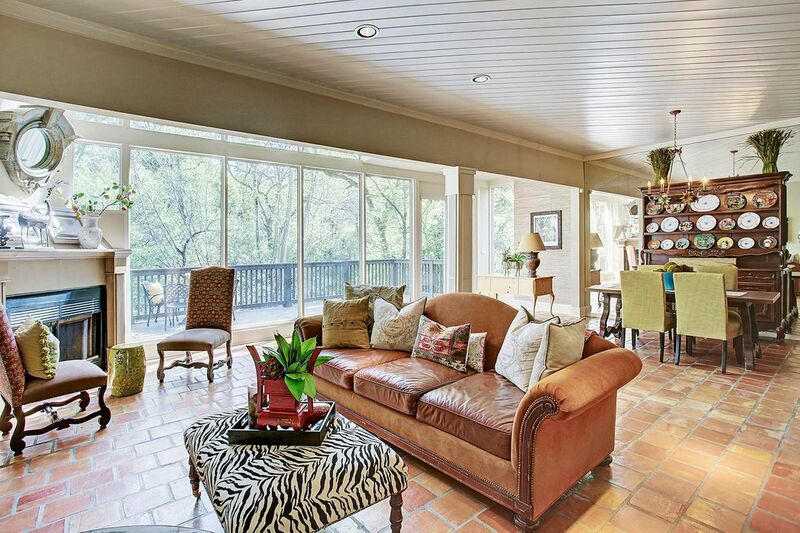 Large and spacious living area. Saltillo tile throughout the first floor. Charming powder room by front door. 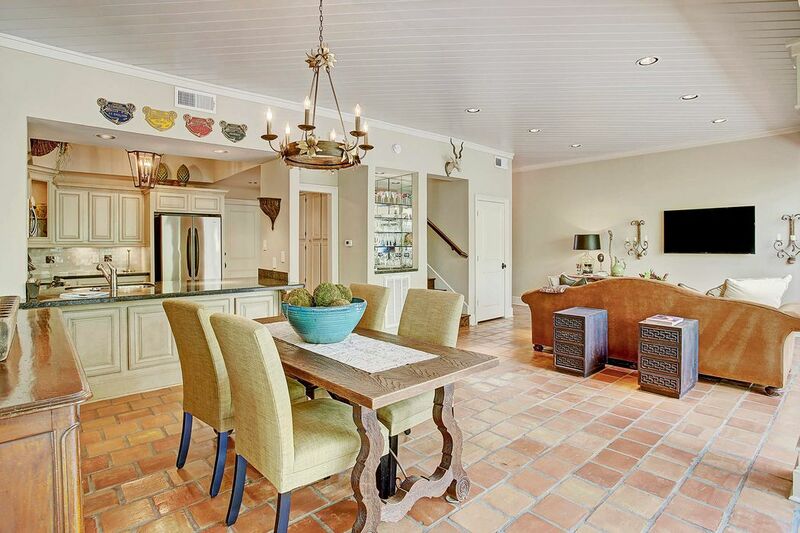 Wet bar centrally located for entertaining. Another view of the living room overlooking the fireplace and the wall of windows exposing the breathtaking views of the lush greenery surrounding the expansive sundeck. 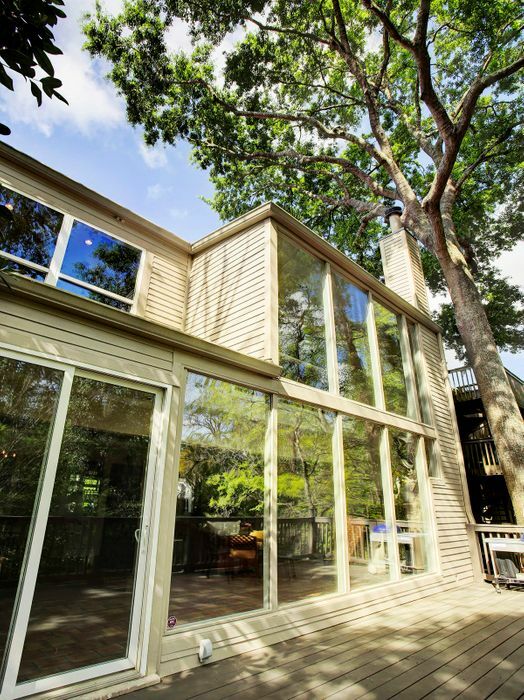 From the living area you can see the large dining room area with a complete mirrored wall. The details of the custom finished fireplace are easy to see from this angle. Notice the outdoor sitting area and the view! You must see in person to truly see the beauty of this room. 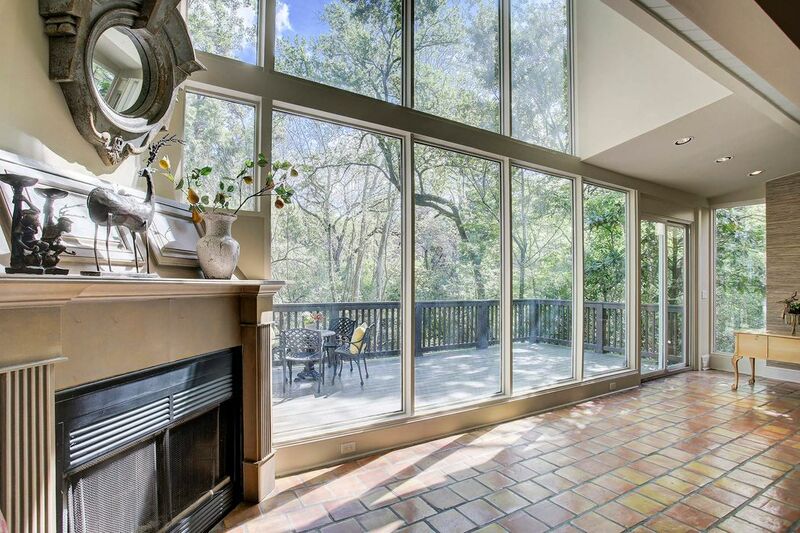 So much outdoor beauty and natural light showcases the living area. Another view of the wall of gleaming windows. Notice the BBQ grill is tucked in the corner . The patio is very large and well maintained. Full view of living area from the kitchen. 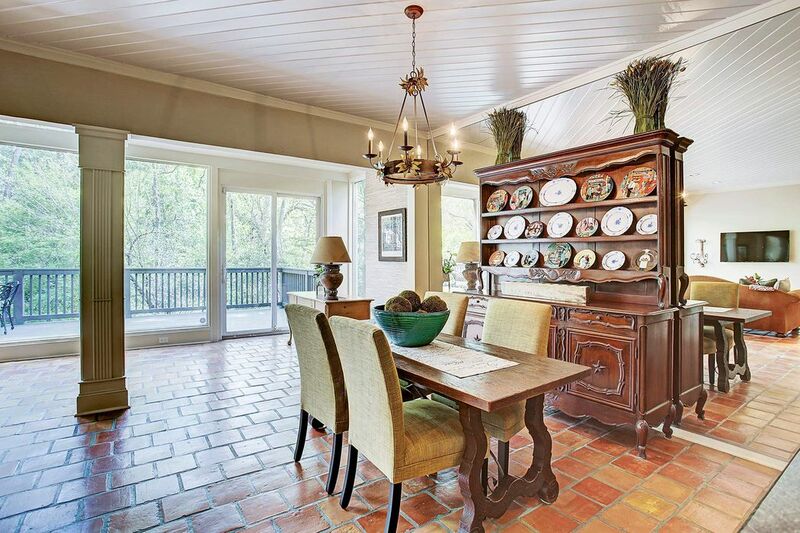 Notice the chandelier above the dining room table. View of living area from the opposite side of entry way. 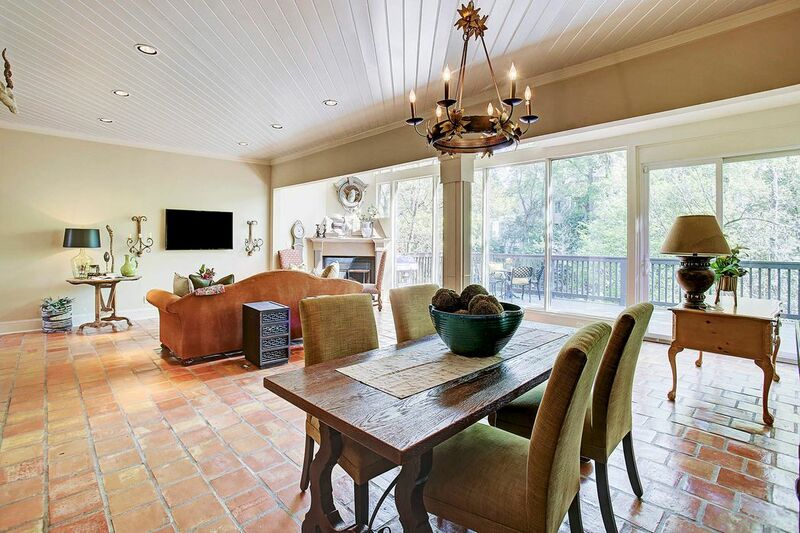 This angle show cases the large space for the dining room. So much beauty in this room. Must see soon. Dining room has plenty of room for large dining room table and cabinet. The breakfast bar can seat four. 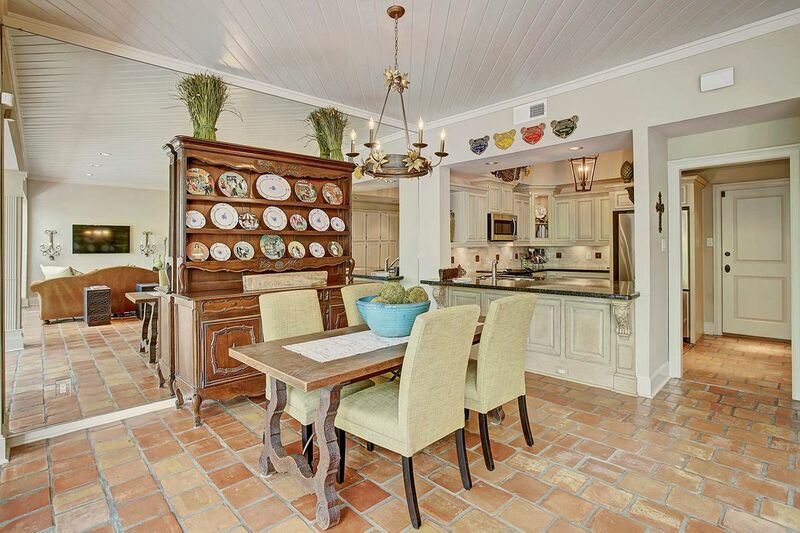 So many details in cabinetry adds to the charm of this amazing home. 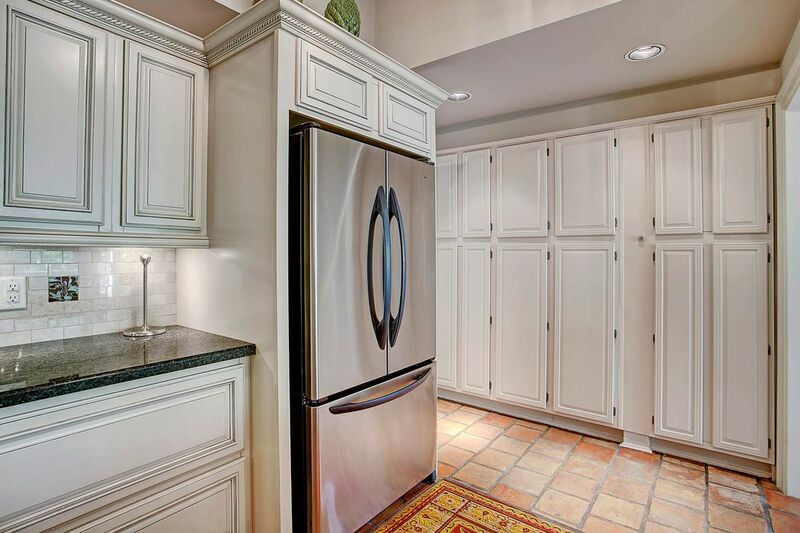 Open kitchen has plenty of cabinet space for storage. Nicely updated with well thought out finishes. Another view of kitchen with stainless steel appliances. Notice the wall of storage cabinets. View of Master Bedroom is open to enjoy the lush green space outdoors. Entire second floor has gleaming hardwood floors. See the door to the large sitting area. 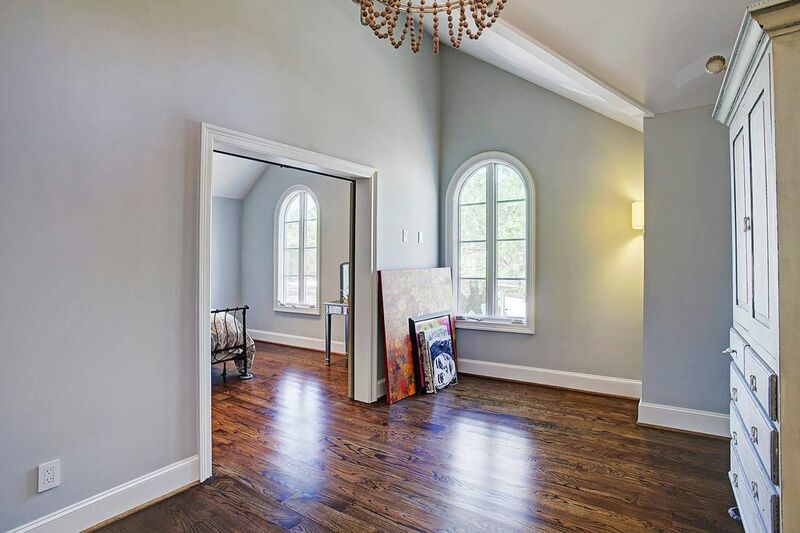 Has double French doors and sconces to finish off the entry to the sitting room. Notice the custom desk area by the door to the left. 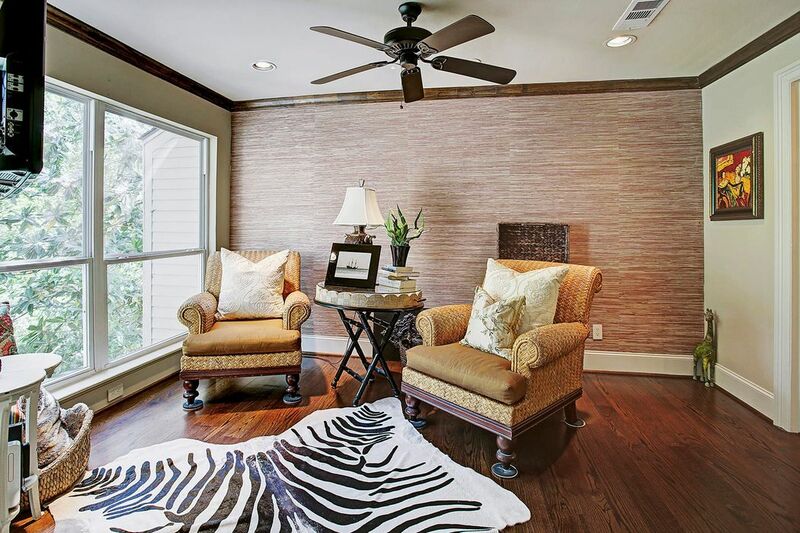 Relax in this study/sitting room which has lots of natural light and grasscloth wallpaper. 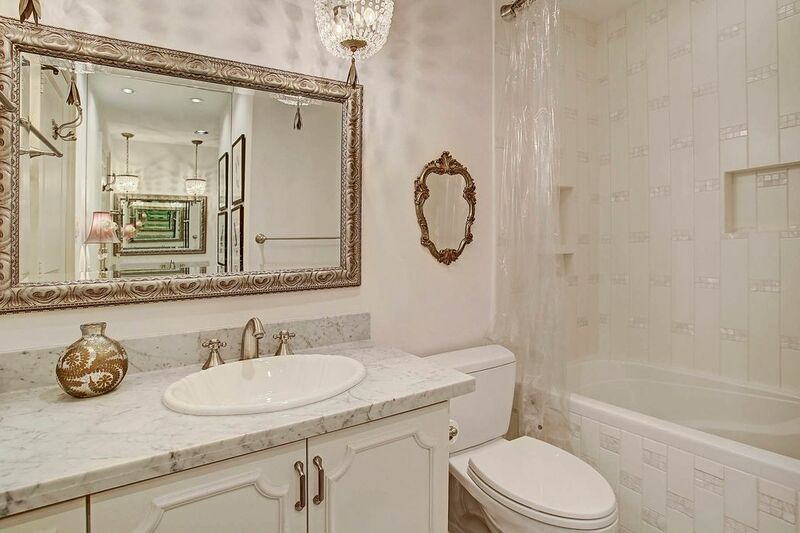 Master bathroom is amazing. 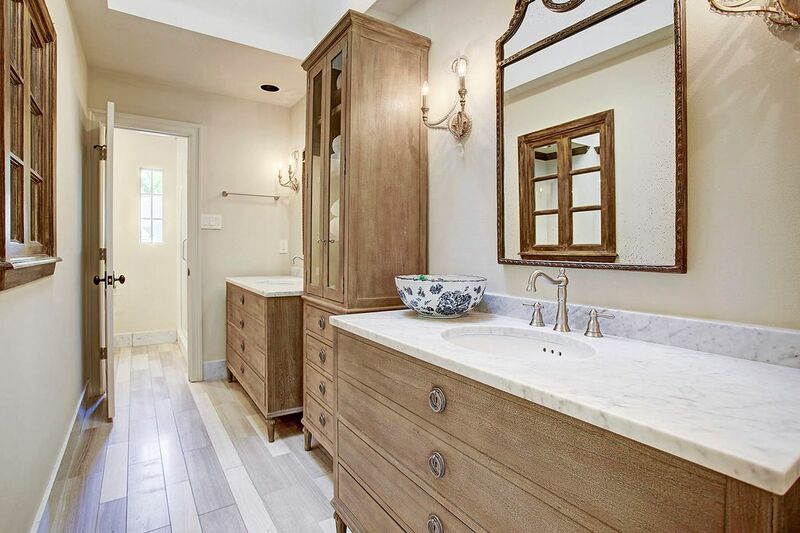 Two separate sinks, designer mirrors and large linen cabinet. Separate room with shower and toilet. 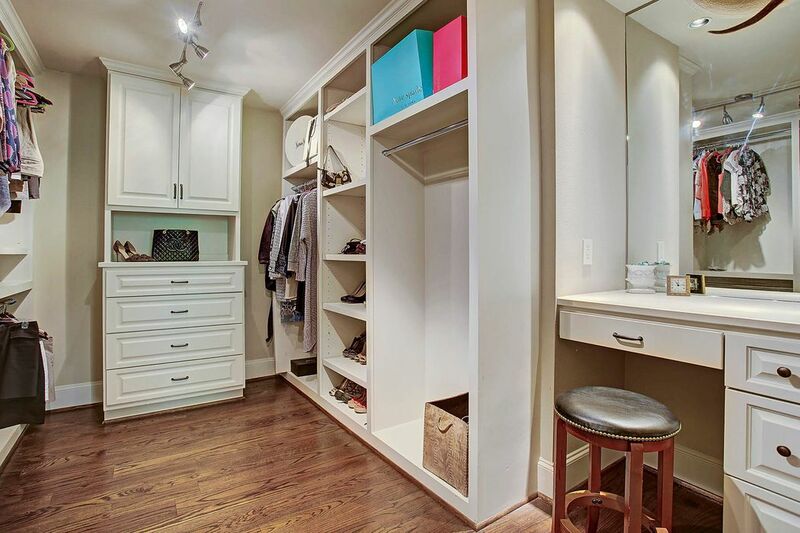 Large walk-in closet with built in vanity. Also has custom cabinetry for extra storage. Second bedroom is charming and has well placed elegant windows. The two extra bedrooms were added during the renovation. 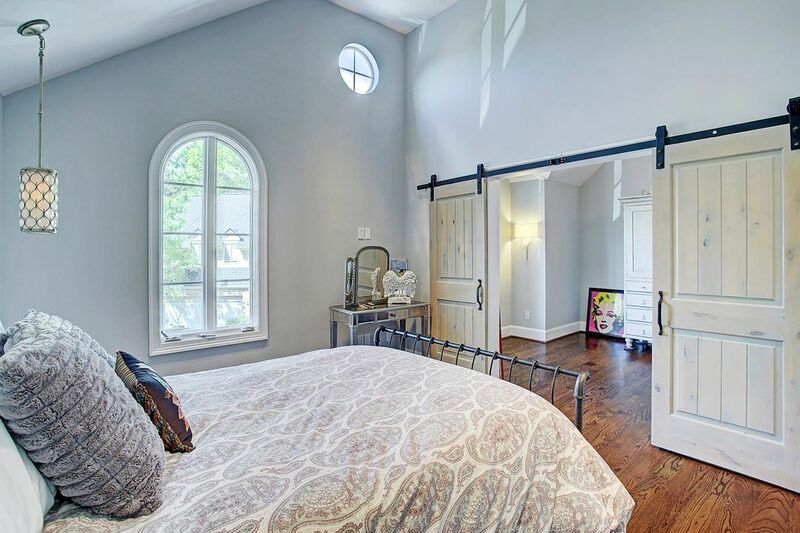 The two bedrooms are separated by sliding barn doors. Each bedroom has its own closet. 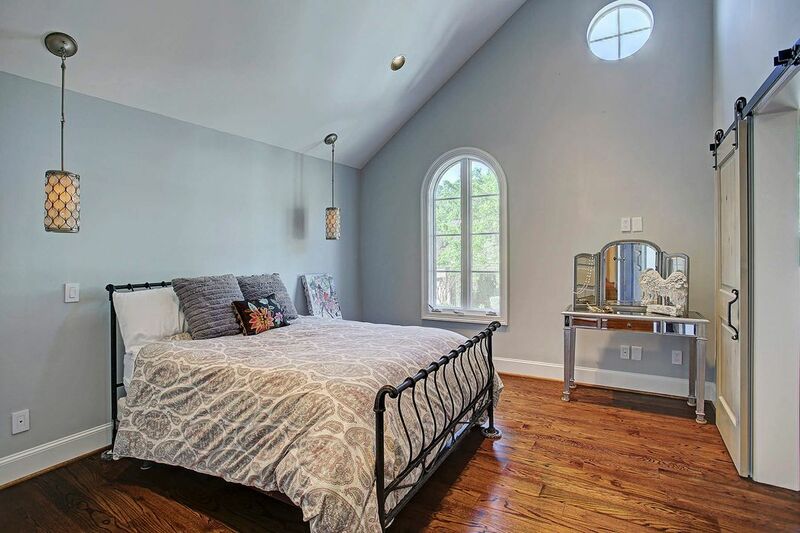 Third bedroom also has the charm of the well thought out placement of the windows that face the front of the home. Plenty of space in each room to set up separate bedrooms or use one as a gameroom. Another view of the third bedroom separated by sliding barn doors. Lots of natural light. Secondary renovated bathroom with designer choices. Granite countertops with separate sink area. 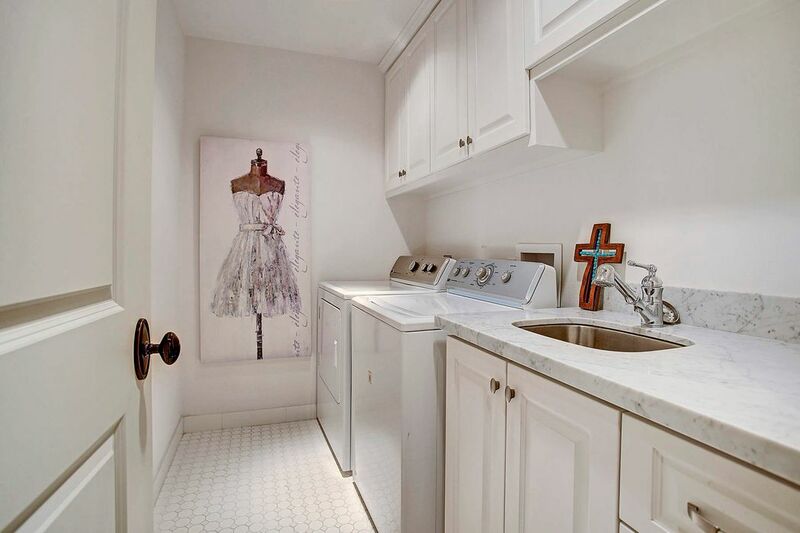 Roomy counterspace adjacent to separate sink. Large and roomy utility added during renovation. 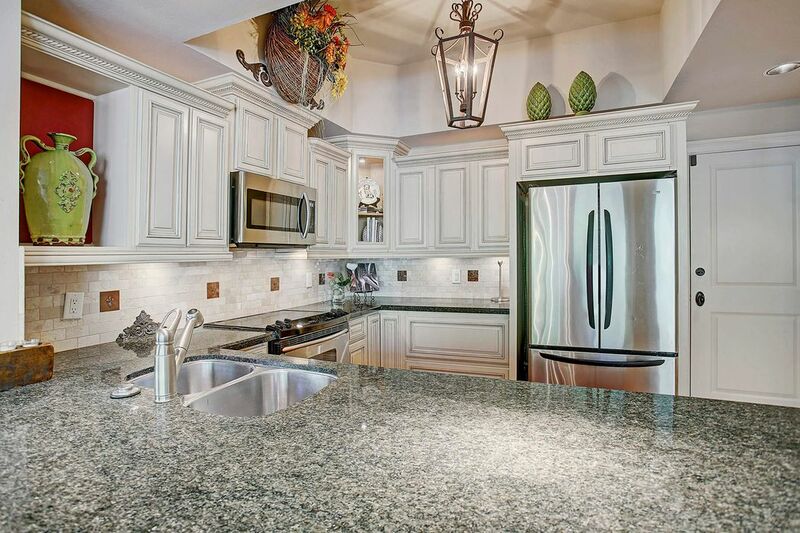 Includes sink and counter space with designer finishes. 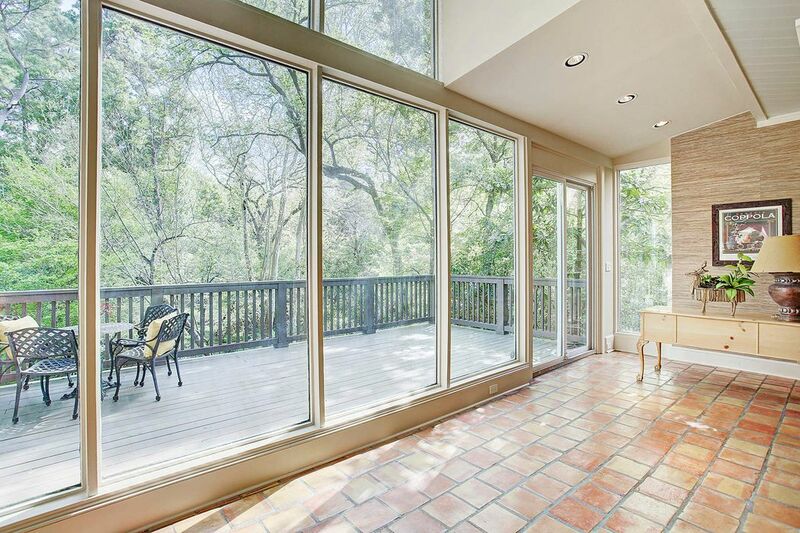 Fantastic view of the large patio. 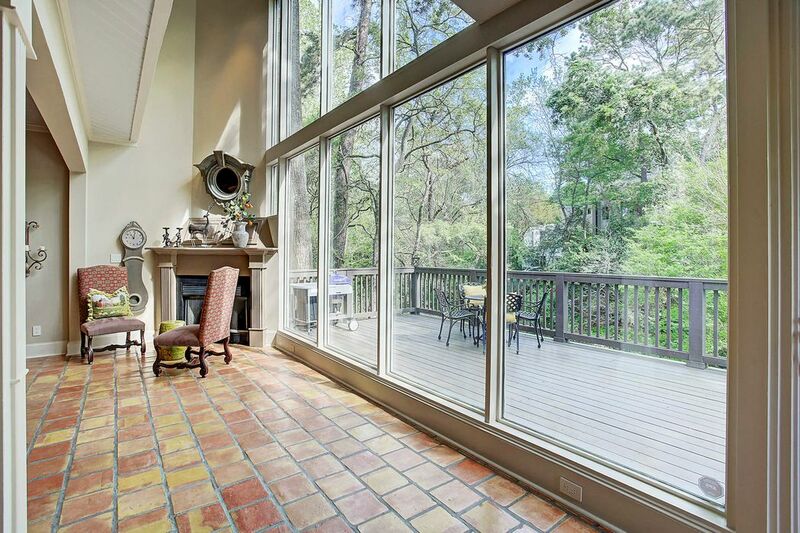 Lots of space for grilling and hosting a party surrounded by the lust foliage and bayou view. Wall of windows and remarkable well maintained trees. 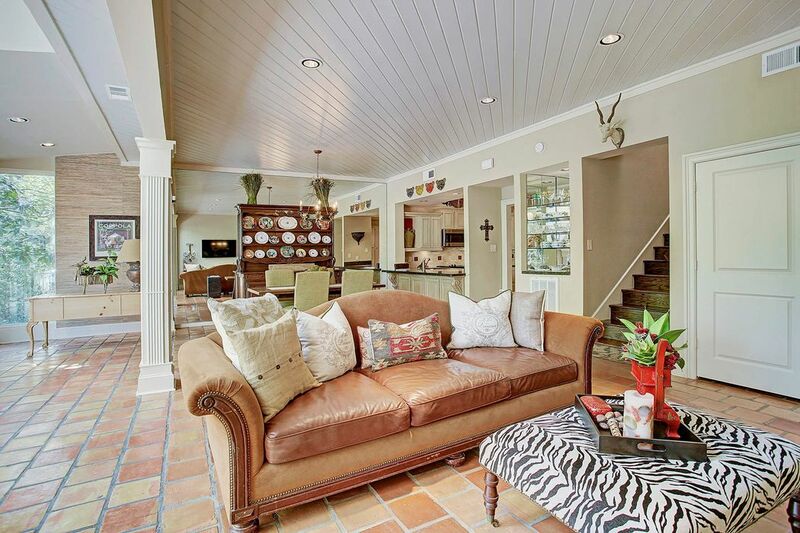 $584,900 3 Bedrooms2 Full / 1 Partial Baths2,386 sq. 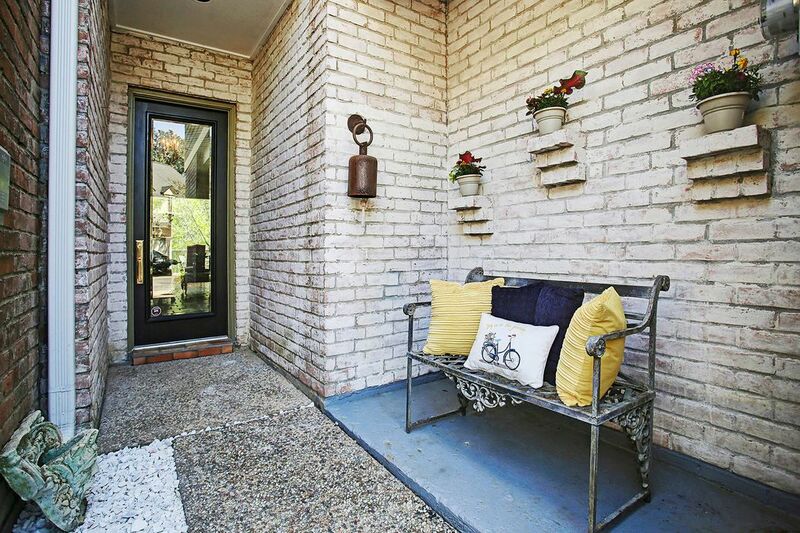 ft.
Gorgeous townhome with numerous updates in the heart of Memorial. 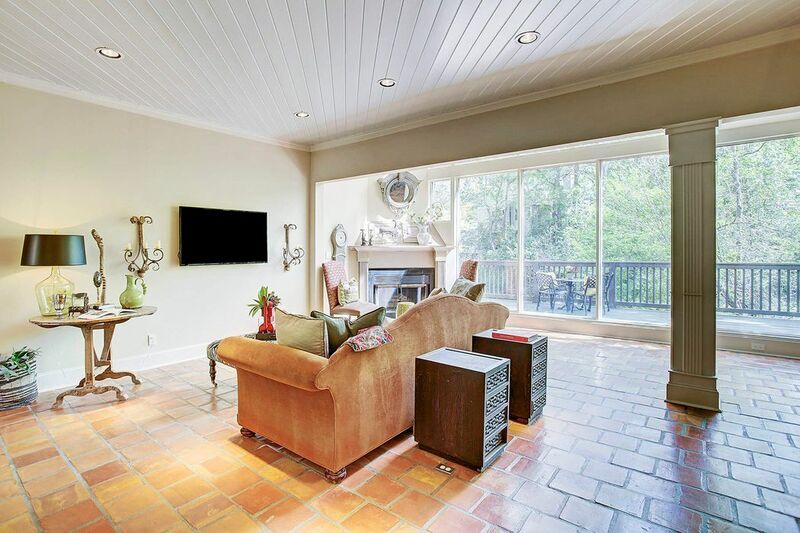 Spacious living area includes a fireplace and windows from floor to second story. Lots of designer finishes. 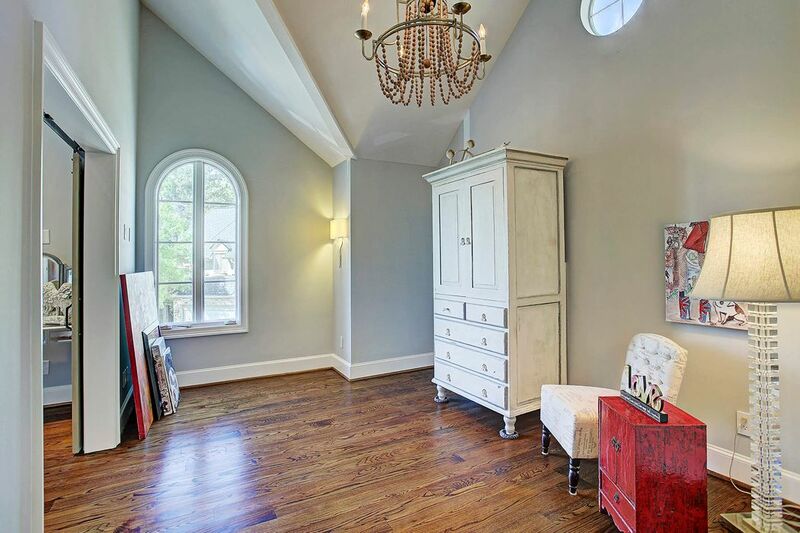 Two guest bedrooms were added and master has a large walk-in closet and a sitting area. Updated baths and a laundry room was added. 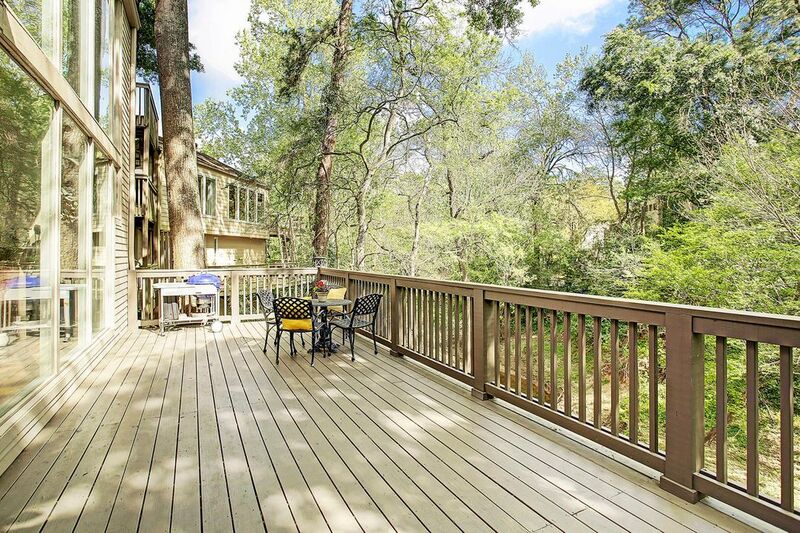 Enjoy entertaining on the beautiful deck overlooking the luscious trees and the bayou. Home is extremely well maintained and ready to move in.